Vanessa Parra is Oxfam America's senior humanitarian press officer. The oars dip slowly into the barely moving waters of the Sudd, one of the largest wetlands on earth. It’s an idyllic scene. Nearly dusk, birds of all kinds alight on the swamp, looking for dinner and settling into their nests for the night. The tall grasses sway lightly in the breeze. The towering grey clouds overhead are remnants of an earlier downpour, and the air is thick with humidity. The light is just right – soft and tinged in sepia. We're in a canoe in what appears to be one of the most peaceful spots in the world. But the calm is deceiving. These waters, this swamp, have a story to tell. For as long as the people of South Sudan can remember, the Sudd has served as a hiding place in times of war, and a source of sustenance regardless of season. Islands dot the landscape of the swamp, protected by the pathways of water. Those who cannot reach the islands for safety hide out in the water, amidst mud and the grasses as fighting rages all around. Water lilies, plentiful in this part of South Sudan, and what fish can be caught with makeshift nets are the only food readily available for people on the move. While hiding in the forest, swamps and islands, many are cut off from life-saving humanitarian assistance. After decades at war with Sudan, South Sudan gained independence just five years ago. A young country, the world’s youngest in fact, it’s seen little peace since then. From its inception tensions ran high, a holdover from the years of fighting, all of which came to a head on December 15, 2013 when a political struggle between President Salva Kiir and Vice President Riek Machar escalated and pushed the country into civil war. A fragile peace agreement was forged last August with strong support from the US, but fighting continues. Nyal is a sleepy town fringed by large, leafy palms. Many people run here when fighting breaks out because of its proximity to the relative safety of the Sudd. Like other places in South Sudan, Nyal hasn’t seen much peace this last year. 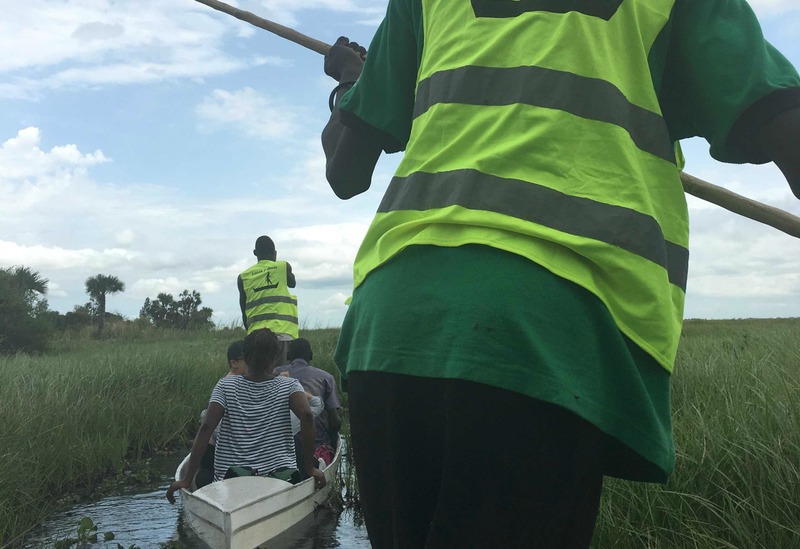 As fighting continued, many South Sudanese sought refuge in Nyal and the islands surrounding it, often walking days through the swamp or, when they could afford it, hiring a canoe to bring them to safety. Since the start of the conflict in 2013, tens of thousands of people have died and more than 2.5 million people – one in five South Sudanese – have been forced to flee from their homes throughout the country. The conflict has disrupted planting and harvest. Unable to grow their own food, people now rely on aid and meager markets. That much is clear as World Food Program planes make their way over Nyal’s skies, dropping food and supplies that will serve as a lifeline for many this rainy season. 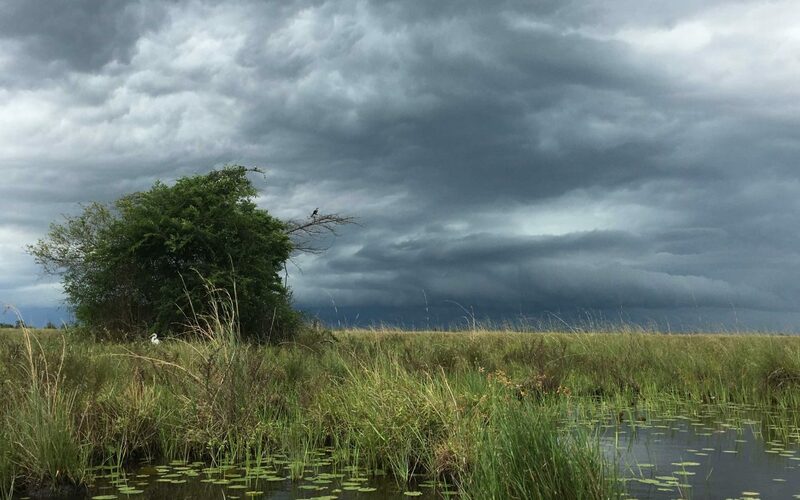 The rainy season in South Sudan lasts from May until approximately November. With limited roads, transporting food, medicine and other essential supplies becomes nearly impossible. Nyal sits roughly 200 miles from Juba but in the midst of the rainy season it’s almost as difficult to reach as the rest of the country. Most of what aid gets to Nyal and other places in South Sudan must come from the sky. Given the state of the world today it’s easy to see how South Sudan gets lost in the shuffle. It doesn’t often top the news headlines. As the country inches its way to peace, the fragile transitional government must focus on ensuring that the provisions of the peace agreement are upheld, particularly commitments to economic reforms and to ensuring that ordinary citizens can engage in the processes that will determine their future.